This staff-wielding wizard absorbs attacks from Magic Medals. Equip Speed Medals for this battle. 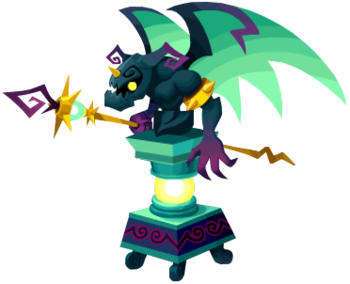 The Gargoyle Wizard is a Pureblood Heartless that was introduced in Kingdom Hearts Union χ. This page was last edited on 3 April 2019, at 17:28.